Learning something new is always difficult without proper guidance. This is especially the case when venturing into unfamiliar territory such as Tibetan Buddhist practice. Here, you will find answers to questions frequently asked by those new to Protector practices. If, at the end of this article, your questions are still unanswered, get in touch with us and we’ll get back to you as quickly as we can. Dorje Shugden is a fully enlightened Dharma Protector who is an emanation of the Wisdom Buddha Manjushri. He is the principal Dharma Protector of the Gelugpa school of Tibetan Buddhism who arose approximately 350 years ago to protect Lama Tsongkhapa’s teachings, particularly Nagarjuna’s Middle View. What is a Dharma Protector? A Dharma Protector is a being who compassionately manifests in a specific form, usually fierce or wrathful, to help Buddhist practitioners overcome their spiritual and worldly problems, and provide conducive conditions for spiritual practice. In short, a Dharma Protector will help smoothen a practitioner’s Dharma path. 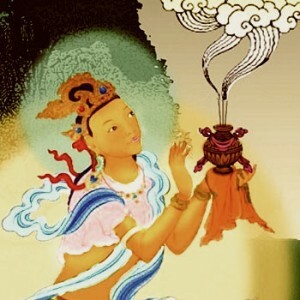 What does emanation of Manjushri mean? This means that Dorje Shugden’s mind is essentially Manjushri’s. 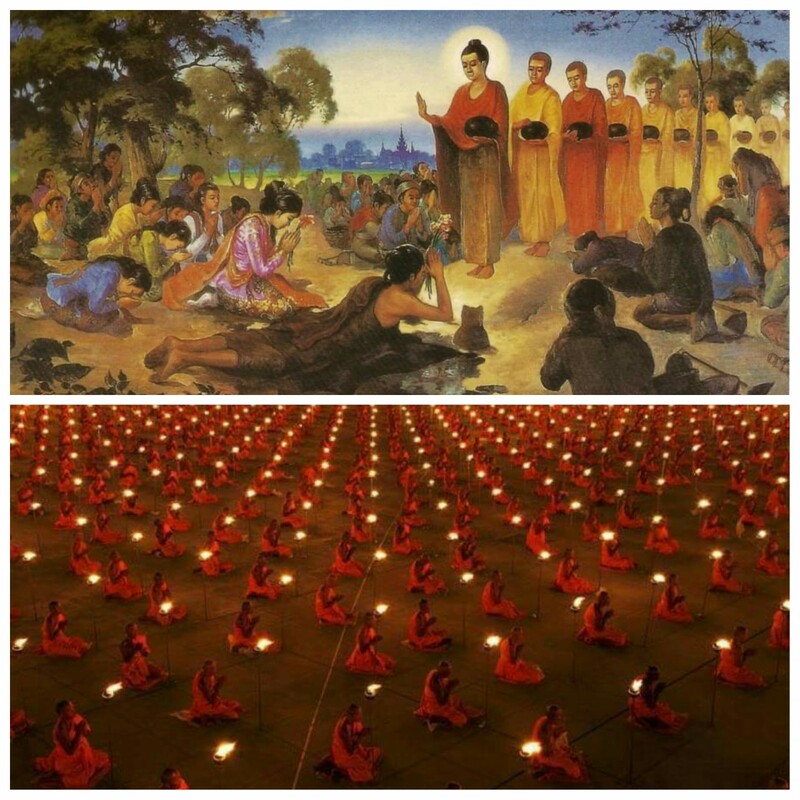 Buddhas emanate and manifest in different forms due to practitioners’ karmic affinities and needs. Thus, although Dorje Shugden does not look like Manjushri, their mind and qualities are the same. Why do I need a Dharma Protector? 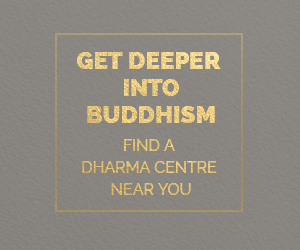 Most spiritual seekers will face challenges, obstacles and distractions when engaging in Buddhist practice. This makes it difficult to focus on spiritual pursuits wholeheartedly and well. 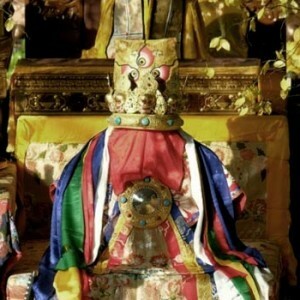 Therefore, having a Dharma Protector is very important. A Dharma Protector will help dispel your immediate obstacles such as financial problems, illnesses and accidents. The Dharma Protector will also provide favourable conditions for spiritual progress by blessing you with sufficient sustenance, sponsorship, spiritual friends and all the resources to support your practice. How can Dorje Shugden help me? Are all Dharma Protectors the same? There are two main types of Dharma Protectors – those who are enlightened and those who are unenlightened/worldly. Some fully enlightened Dharma Protectors will also manifest in a worldly form; in such a form, they can come to our aid more swiftly due to our karmic affinity. 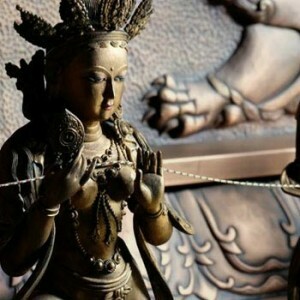 What is the difference between Dharma Protectors and Buddhist meditational deities? Through a meditational deity’s (yidam) practice, we accumulate merits, gain attainments and realisations, and eventually achieve their qualities i.e. Enlightenment. Through Dharma Protector practice, we hope to dispel obstacles and achieve favourable conditions so that we can focus on Yidam practices. Why are there five different forms of Dorje Shugden? Dorje Shugden manifests in five unique forms to assist you in different capacities. Ratna Shugden or Gyenze: this “increasing” form brings prosperity, longevity, attainments and an abundance of all that is good. Can I just focus on one form of Dorje Shugden instead of all five? Yes, you can focus on just one of Dorje Shugden’s forms according to your unique situation and needs. You will reap the general benefits of all five forms and the specific benefits of your chosen form. 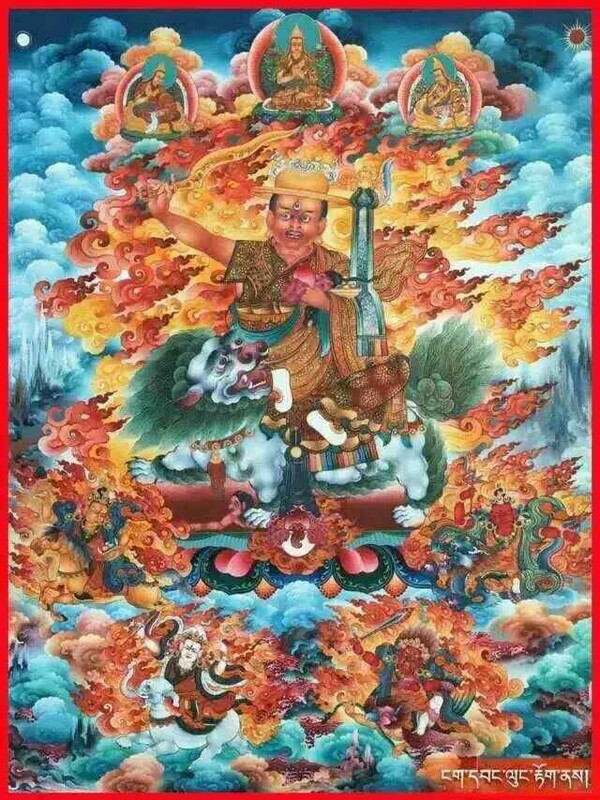 Why does Dorje Shugden look so fierce? The main form of Dorje Shugden is Duldzin Dorje Shugden who wears a golden domed hat and the robes of a fully ordained monk. He carries a wisdom sword in his right hand, symbolising cutting away at our ignorance and negative states of mind. In his left hand, he holds a heart jewel representing the wish-fulfilling jewel that will fulfill our deepest wish of enlightenment. The taming hook in the crook of his left hand symbolises his ability to tame all the three realms. His choice of mount is the snow lion, symbolic of fearlessness. He bestows great wisdom, success, peace and harmony to all those to invoke him with a sincere heart. Will Dorje Shugden help me if I am not a Buddhist? Yes! As Dorje Shugden is a fully enlightened being, he will help you and anyone else who sincerely petitions him, even if you have very little faith in him. How do I begin practising Dorje Shugden? It is easy! If you have a busy schedule and don’t have much time for prayer, you can recite this short request to Dorje Shugden daily. You may also wish to download a photo of Dorje Shugden. Dorje Shugden’s short prayer and mantra can be recited anywhere and at any time. 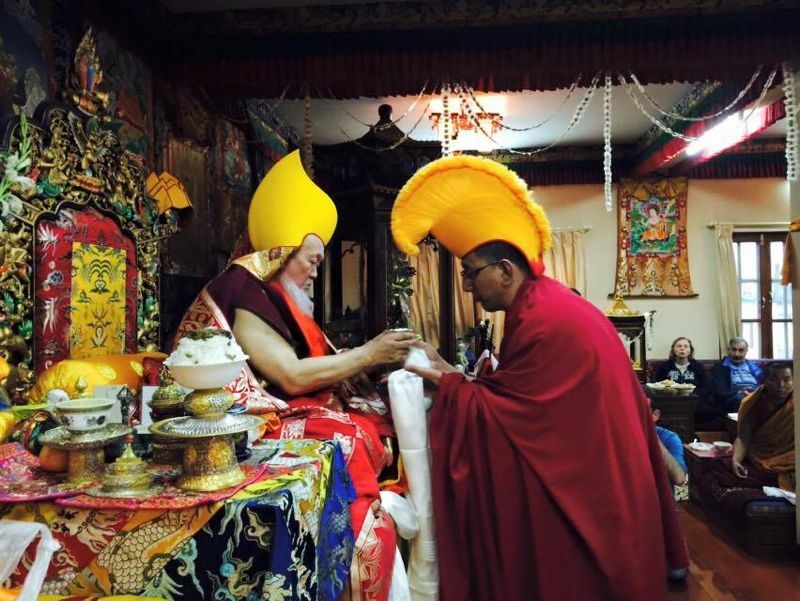 Can I do Dorje Shugden’s prayers without initiation? Yes, you can. It is permissible and safe to engage in Dorje Shugden prayers and mantras without initiation, as long as you use the appropriate texts meant for those without initiation. 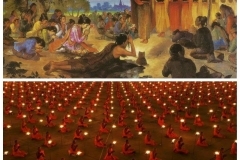 Where can I find the Dorje Shugden prayer for those without initiation? H.E. the 25th Tsem Rinpoche has composed a short prayer and a daily Dorje Shugden sadhana for those without initiation. You can also visit the practice section of this website for more prayers to Dorje Shugden. What is Dorje Shugden’s mantra? Do I need a Dorje Shugden shrine to engage in his practice? 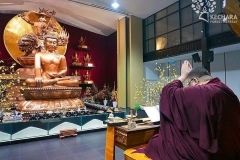 Although recommended, it is not necessary to have a shrine in order to engage in Dorje Shugden’s practice. In his compassion, Dorje Shugden will hear your prayers as long as you are sincere and genuine. If you are able to and would like to set up a Dorje Shugden shrine or altar, read this article for more information. Can Dorje Shugden’s practice be combined with other prayers? Yes, you can combine Dorje Shugden’s prayers with any other practices you are doing. There is no conflict from his side. You can recite the daily sadhana of Dorje Shugden or just his mantra after your main practice. I have my own Protector practice. Can I still engage in Dorje Shugden’s prayers? Yes, you can add Dorje Shugden practice, either his full sadhana or just the mantra, after your main Protector practice. Do I owe Dorje Shugden anything for helping me? No. As an enlightened Protector, Dorje Shugden does not need any rewards or “payments” for helping you, unlike worldly deities. Dorje Shugden will aid you as long as you invoke him with a sincere heart. Is Dorje Shugden practiced only by the Gelugs? No. After Dorje Shugden was enthroned as a Dharma Protector, he was first propitiated by the Sakyas before becoming widespread among the Gelugpas. If I want to stop this practice, can I? 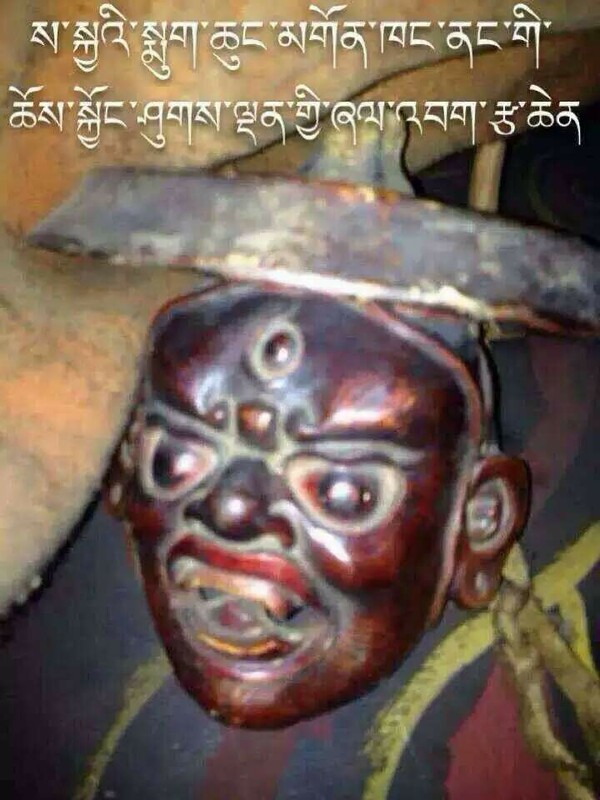 Will Dorje Shugden be angry and harm me? As an enlightened being, Dorje Shugden will not harm you or anyone, least of all for stopping his practice. However, if you have received Dorje Shugden’s life entrustment initiation (sogtae), it is strongly recommended that you do not stop practising unless you have received permission from your teacher to do so. I want to learn more about Dorje Shugden. Where can I find a teacher? 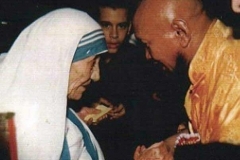 Who are the past lineage masters of Dorje Shugden? His Holiness the 11th Dalai Lama, who installed Dorje Shugden as the Protector of the Gelugpa tradition. 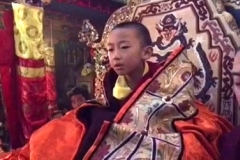 His Holiness the 10th Panchen Lama. 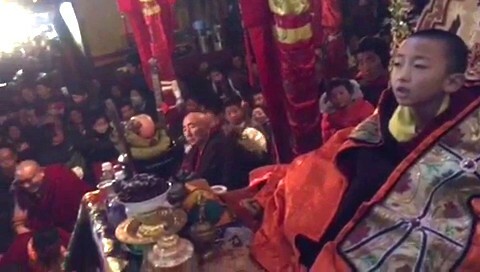 His Eminence Taktra Rinpoche, the Regent of Tibet after the death of H.H. the 13th Dalai Lama. 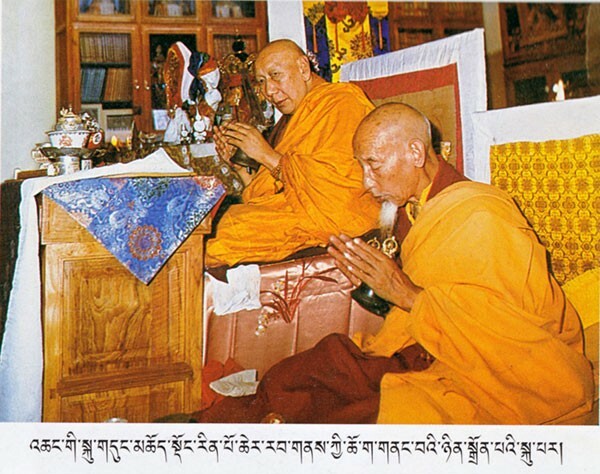 His Eminence the 2nd Domo Geshe Rinpoche, regarded as an emanation of Lama Tsongkhapa by H.H. the 13th Dalai Lama. 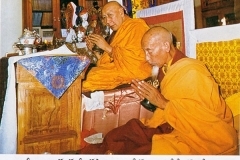 His Eminence Serkong Dorje Chang, regarded as an emanation of Vajradhara by H.H. the 13th Dalai Lama. Very informative post. I have better understanding after reading this well explained article. Thank you. All these questions and answers are very clear cut and straight to the point. It helps clear up our doubts and creates confidence within us to do Dorje Shugden practice. This is especially useful to those who are interested in Dorje Shugden practice. Thank you dorjeshugden.org team. You guys are doing an executive job ! I like FAQs as it actually answers most of my questions in a short and easy to understand manner. It is also good for people who would like a quick brief reference or recap. This is really great! I love the FAQs, it made into short questions and answers. Easy to read and understand. 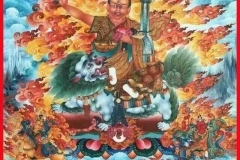 Most importantly the FAQs answered almost all the neccesary questions many have about Dorje Shugden, the practice and some other general questions had or might arise. This is a very informative FAQ. It is easy to understand and straight forward. Dorje Shugden practise is very useful for us to clear obstacles and assist us in our spiritual journey. May more people engage in this practise. Thank you very much for this complete list of Frequently Asked Questions about the enlightened Dharma Protector, Dorje Shugden. Dorje Shugden is the emanation of Manjushri, which means that their mind and qualities are the same. 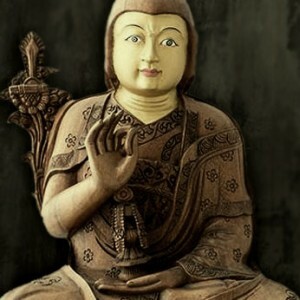 Buddhas emanate and manifest in different forms to help. In this case, Manjushri manifest in the form of Dorje Shugden to grant swift assistance to practitioners. We are very lucky to have His Eminence the 25th Tsem Rinpoche bestow us with this powerful practice to alleviate our immediate obstacles such as financial problems, illnesses and accidents. Through the blessing of the Guru, Dharma Protector will also provide favorable conditions by blessing us with sufficient sustenance and resources to support our spiritual practice. Thank you for these clarifications. There are so many distracting news about Dorje Shugden that we lose sight of what really matters: the dharma. These questions and answers focus on the dharma so that practitioners focus on the “right” path to spirituality. What I really like about FAQs is that it pretty much summarize the whole website. Whenever I go to a new website, that’s the first thing I read. This is so I don’t have to read the whole thing just to understand it. In this case, this FAQ section, I find that it was written well as it explain/highlight the important questions that beginners would ask. I especially like the part where lineage masters are introduced to beginners who would like to further their spiritual path where it is convenient for them. 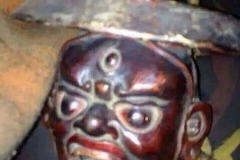 Just curious, the way it was answered for, (Why does Dorje Shugden look so fierce? ), is it the correct answer? FAQs are fantastic summaries and one of the best places to search when looking for quick answers. There are so much history, teachings, practices to learn just on one dharma protector alone. No wonder there are lamas, geshes and monks that spent their entire studying and practicing. Thanks for this informative article. It is very fortunate to come across these details. Dorje Shugden is a protector for our Dharma practice. We may easily get distracted from doing the right thing. 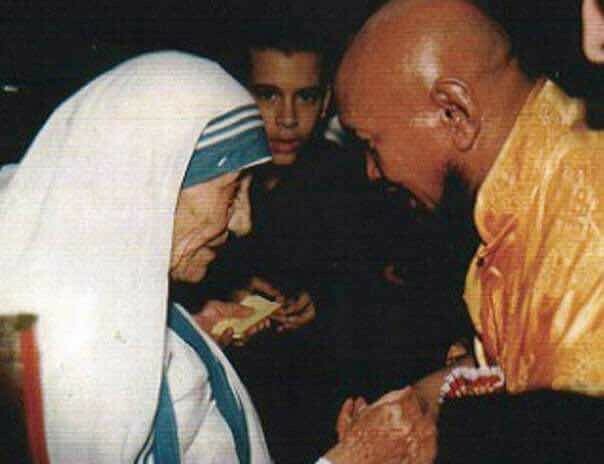 With the Protector practice we gain help to improve our life and the lifes of others. I find this section beneficial and user friendly for beginners wanting to know more of Dorje Shugden. It is easy, just share the link with others. In fact, this site contains so much information pertaining to Dorje Shugden that it could answer many questions from readers who are not so knowledgeable of Dorje Shugden. 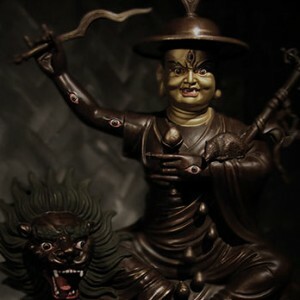 A great link that comtains the essential information about the Great Dharma Protector, Dorje Shugden, it’s good to share with friends, family members and those who around us who need to know more about him and obtain his blessings. Personally, this link helped me to recap those information that I’ve read at different individual article in http://www.dorjeshugden.org. This is a very good summary for the information of Dorje Shugden practise. For those who have read through the previous articles of introductions to Dorje Shugden, this section served as a very concise text to refresh the understanding of Dorje Shugden from time to time. Thank you DS.ORG team! It’s an informative and helpful F&Q for new people to have a brief idea about Dorje Shugden and his practice. What I can see from this section is that this protector practice is for everyone and is very effective. One can have no worries to start his practice and need to have understanding and faith. Wow, this is like a Dorje Shugden wikipidia. I am sure many have cleared their doubts and worries about Dorje Shugden. Not only that, by seeking for answers we learned more. In this way we now understand better and generate faith in Dorje Shugden. By creating connection and having strong faith with Dorje Shugden, our faith to our guru and Lama Tsongkhapa will increase. This is very important because without faith with our guru and Lama Tsongkhapa, there will be NO attainment no matter how hard we practice. 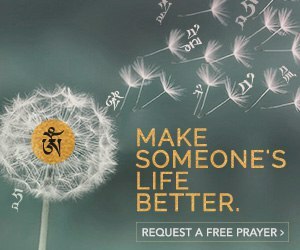 I would like to thank Dorjeshugden.org. A website provide a very informative and well explain on Dorje Shugden practice. So far, not many website provided information on Dorje Shugden practice. As far as i know there are only two and this is one of the two. Thank you for all the peoples who work hard for this website to help us to gain more knowledge on Dorje Shugden practice. It really helps a lots for our practice and also easy to share with others. The most important is to let the world know the truth. This FAQ section is fabulous for us especially we can refer people who are new to protector practice to here. I find the question “Do I owe Dorje Shugden anything for helping me?” very useful, because in our traditional Chinese belief, when we pray and ask for something, if it comes true we need to repay the kindness or help from the gods. There are cases where things become worse if the person didn’t repay the kindenss, there are punishments from the gods. However, this is not saying that praying to Dorje Shugden do not need to do anything after our wishes fulfilled, it’s saying there’s no punishments involved when we are praying to enlightened being. The protector practice aims to give us assistances on our spiritual path, the way to repay his kindness is to have spiritual growth which is good for us ultimately. The contain of question and answer are very helpful and informative for beginner. Such information is easy to share among people especially who need guardian and help from Dorje Shugden. It summery all about dorje shugden practice. Thank for sharing and make it easy for people. Thank you very much to have this session. This is very useful to clear the doubts who is Dorje Shugden, how to start to practice Dorje Shugden and so forth. May everyone will get the blessing from Dorje Shugden to meet a qualified guru and practice the dharma. I find this post rather straight to the points as it comprises many of the frequently ask questions on this practice and the such. Thanks for this short yet informative post. Hi. Could you explain the significance of offering alcohol tea cake milk and curd and also seperate offering of tea and milk to Dorje Shugden? This is a section for you to clarify your questions about Dorje Shugden. Just post your question below and check back later for the answer. Jamgon gyalwe tensung dorje shugden trinchuk chodu shushol, Bylakuppe, India, Sera Mey Parkhang. 1992, page 63 – 69. IS THERE AN ENGLISH TRANSLATION?? I m jobless now, I need yo clear my debt, people are chasing me to paid. I have 2 cycts found in my chest area during a routine check up . I get light pain & discomfort in that area and appreciate very much if you can let me know what chanting do I need to do to heal myself. 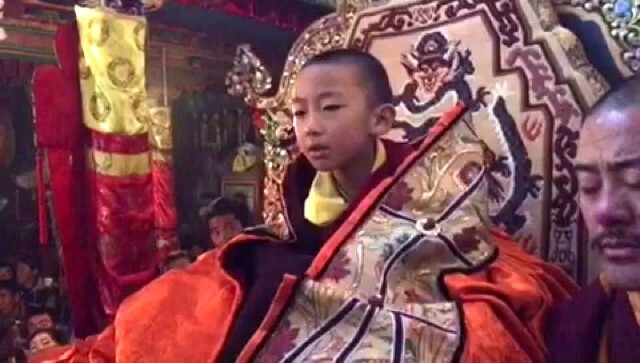 His Eminence the 20th Denma Gonsa Rinpoche recites Dorje Shugden's "Dothey" prayer composed by His Holiness Kyabje Trijang Dorje Chang. 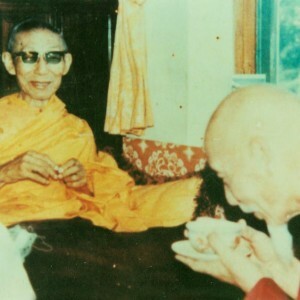 His Holiness 97th Gaden Tripa Kyabje Ling Rinpoche with His Holiness Kyabje Zong Rinpoche. 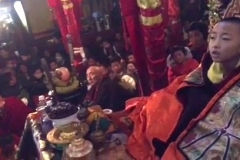 His Eminence Kyabje Gangchen Rinpoche Losar 2015. May he live a thousand years. DorjeShugden.org is H.E. 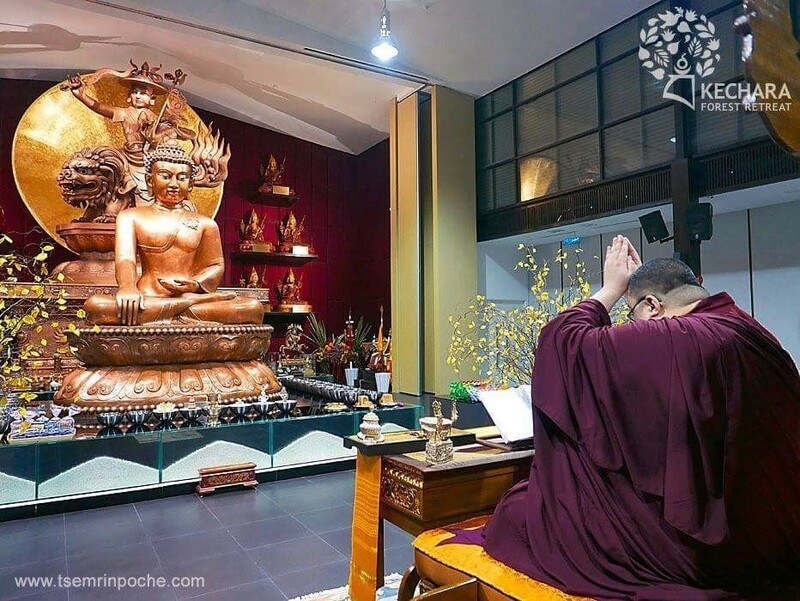 the 25th Tsem Rinpoche's very first endeavour to compile a complete reference for the history, knowledge and practice of the enlightened Dharma Protector Dorje Shugden. Subscribe and join our mailing list.